Russian Energy Week International Forum (‘the Forum’) was established by order of the Russian Government No. 2026-r, dated 27 September 2016, with further changes instigated by order of the Russian Government No. 438-r, dated 16 March 2018. In 2018, the Forum will be held from 3 to 6 October in the Central Exhibition Hall ‘Manege’ in Moscow. For more information on the Forum venue, see the Forum venue section of our website. energy conservation and increased energy efficiency. The first ‘Russian Energy Week’ Energy Efficiency and Energy Development International Forum was held in 2017, immediately becoming the most important energy efficiency event in Russia or abroad. 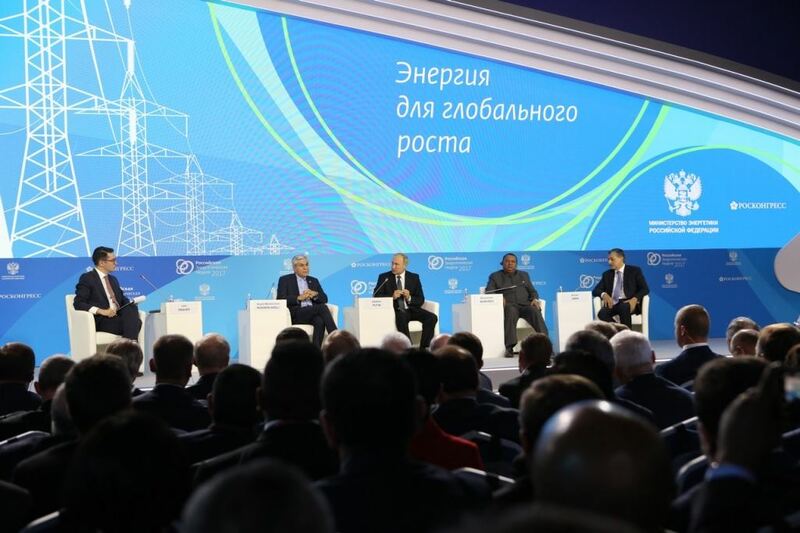 The central event of the business programme was a plenary session entitled ‘Energy for Global Growth’, which included an address by Russian President Vladimir Putin. All in all, the REW 2017 business programme comprised 45 events in Moscow, featuring 279 speakers and moderators. The REW 2017 events in Moscow were attended by people from 94 different countries. REW 2017 Youth Day concluded with a session titled ‘Energy and Youth Initiatives 2018’ and an informal meeting with Russian Energy Minister Alexander Novak. For more detailed information on the outcomes of REW 2017, see the Outcomes of REW 2017 section.